In 1966, the publisher Samuel Shore of New York commissioned Salvador Dalíto produce a series of works by 1968, when their completion would celebrate the 20th anniversaryof the founding of the State of Israel. 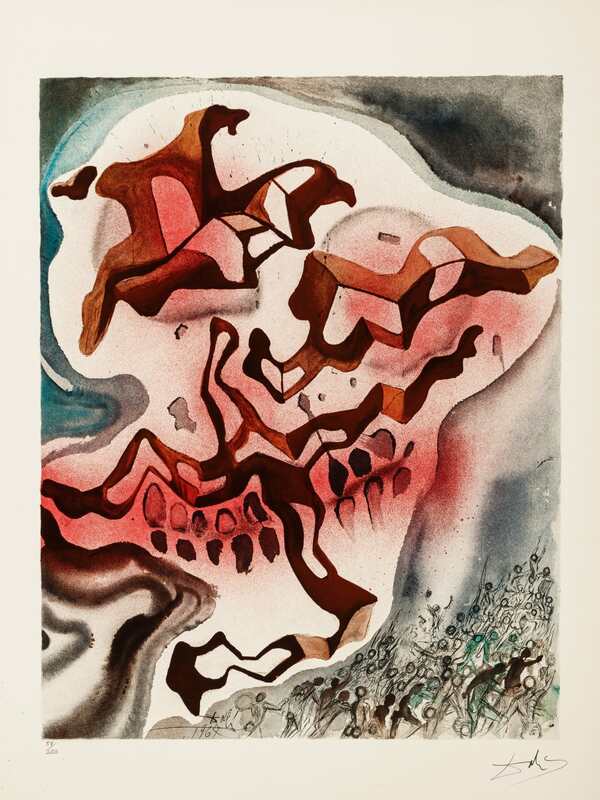 Inspired by the historic challenges and post-World War II renewal of the Jewish people, Dalí created a series of 25 mixed-media paintings on paper that loosely trace major moments in Jewish history—both the tragic and the joyous—culminating in the creation of Israel in 1948. From the paintings, Shorewood Publishers produced a limited edition of 250 sets of 25 lithographs, with each set accompanied by a letter of introduction from David Ben-Gurion (1886–1973), the founding Prime Minister of Israel. The title, Aliyah, comes from the Hebrew word “to rise or ascend,” and is commonly used to describe migration to Israel, a process that many Jews see as stepping up to their homeland. 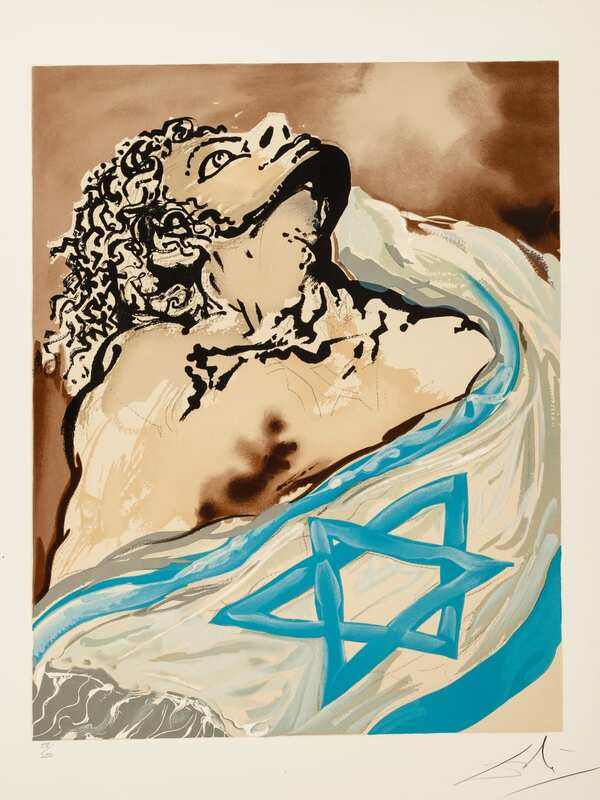 The paintings were shown in 1968 at the Huntington Hartford Gallery of Modern Art in New York, timed with Israel’s anniversary celebrations, while the lithographic sets were offered for sale to those who wished to commemorate the anniversary through art. 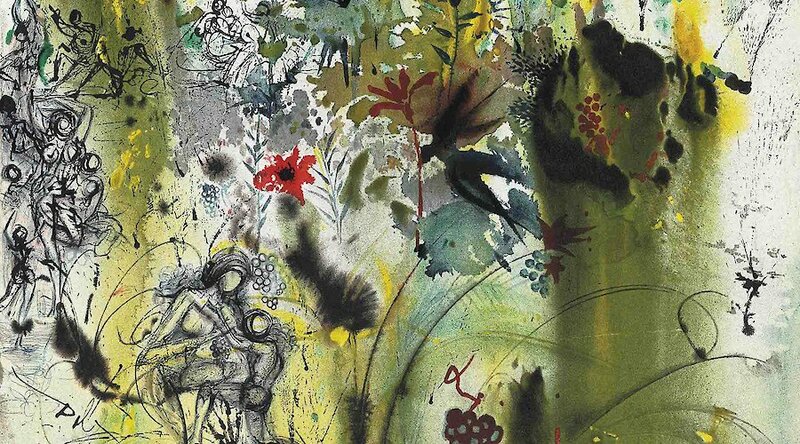 Although the current locations of the original paintings are not known, in 2017 the Meadows Museum acquired a rare, complete set of the 25 lithographs thanks to a gift from Linda P. and William A. Custard and The Meadows Foundation, in tribute to the Honorable Janet Pollman Kafka, Honorary Consul of Spain, for her twenty years of service to the country. Both Linda P. Custard and Janet Kafka serve on the Museum’s Advisory Council, the former in the role of chair. Aliyah will be presented during Israel’s 70th anniversary year. In 1962, Dallas businessman and philanthropist Algur H. Meadows donated his private collection of Spanish paintings, as well as funds to start a museum, to Southern Methodist University. The museum opened to the public in 1965, marking the first step in fulfilling Meadows’s vision to create “a small Prado for Texas.” Today, the Meadows is home to one of the largest and most comprehensive collections of Spanish art outside of Spain. The collection spans from the 10th to the 21st centuries and includes medieval objects, Renaissance and Baroque sculptures, and major paintings by Golden Age and modern masters.